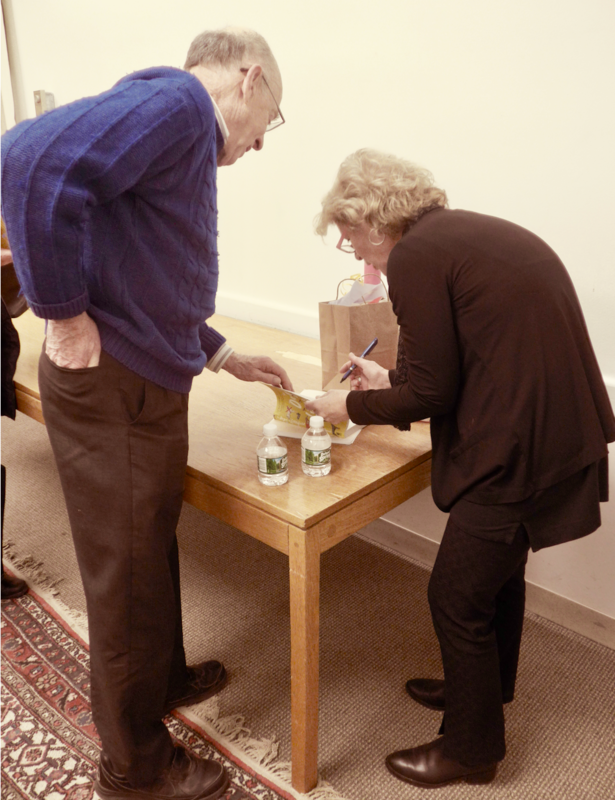 Author Suzanne Berne in a talk about why novels matter. 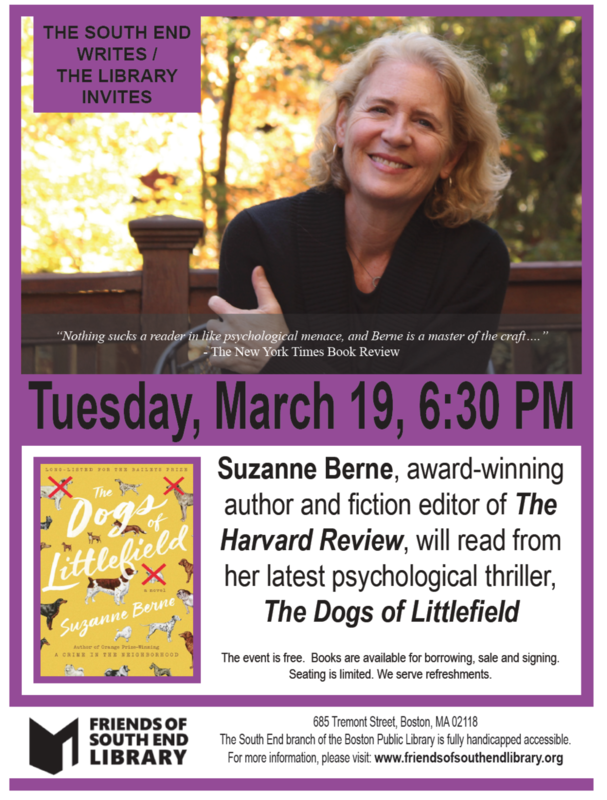 Suzanne Berne, who won the U. K.’s Orange Award for her 2014 novel, A Crime in the Neighborhood, took a firm hand in talking about herself as a writer when she came to the South End library on March 19 to talk about her latest work, The Dogs of Littlefield. She didn’t really want to read from her latest book of crime fiction, but instead hoped to make the case for why novels matter. Berne, who is the fiction editor of The Harvard Review, acknowledged that, nowadays, novels face stiff competition from other forms of storytelling, including the many excellent television productions. “Unlike novels, they offer fine transitions, swift character development, easy flashbacks and efficient productions. You don’t have to sit through long passages about dress and place and time,” she explained. “Art is inefficient,” Berk countered. “It takes a long time to make and to understand.” She added that in fiction “the process of perception slows down the acquisition of information so you slowly build up sympathy for the characters’ flaws and terrors.” The New York Times reviewer of A Crime in the Neighborhood described Berne as a master at the craft of psychological menace. She wrote six drafts of the novel. “Things are never finished,” she said. “They are abandoned.” Berne is currently working on a novel set on a remote New Hampshire lake that involves a reclusive and difficult elderly woman from Amsterdam who summons her estranged daughter and her daughter's unhappy college-age son to help her when she sprains her ankle. The visit does not go well. A Crime in the Neighborhood, was a New York Times Notable Book and a Book of the Month Club and a Quality Paperback Book Club selection. Berne’s earlier novels are The Ghost at the Table and A Perfect Arrangement. Her short fiction and essays have appeared in magazines such as Ploughshares, Agni, The Three-penny Review, Mademoiselle, Vogue, The New York Times Magazine, The Guardian, and The Quarterly. She teaches creative writing at Boston College and the Ranier Writing Workshop.